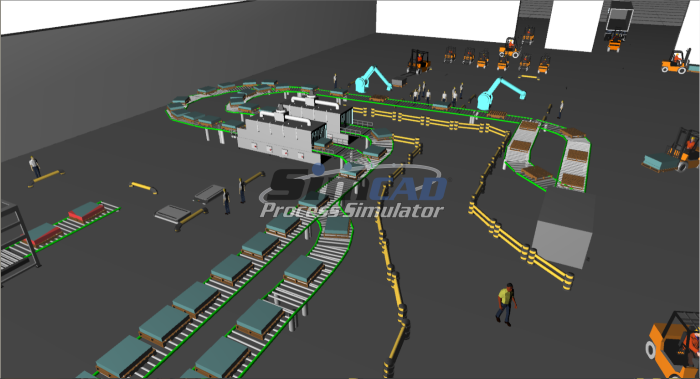 Increase supply chain efficiency using dynamic simulation software - Simcad Pro. Supply Chain simulation, requires the delicate balance and management of relationships between multiple companies throughout the value chain all working together to ensure the expectations of all stakeholders on both the supply and demand of the system are met and exceeded. 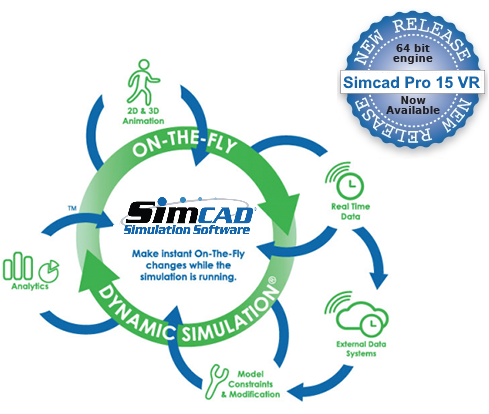 Simcad Pro’s patented dynamic simulation environment allows for the accurate modeling of such complex systems and their components. Through integrated functionality Simcad Pro delivers integrated scenario analysis, optimization, and 2D & 3D visualization providing the required tools to make informed decisions driving continuous improvement, visibility, tracking, tractability, and systems optimization. 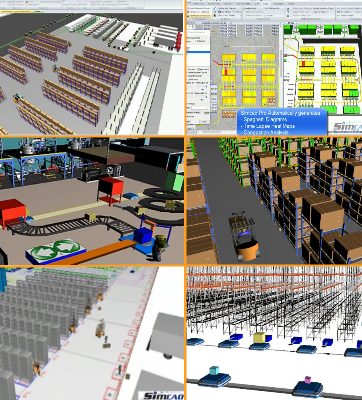 Supply Chain systems, large distribution warehouses, and material handling equipment are key components to some of the most intricate Logistics environments. 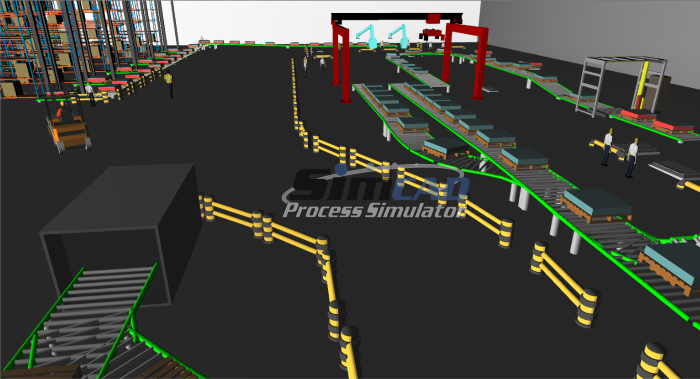 Simcad Pro's dynamic multi-core simulation engine reduces the complexity of building such interactive systems. The transportation of commodities such as oil and gas, or perishable food items can be costly and inefficient. 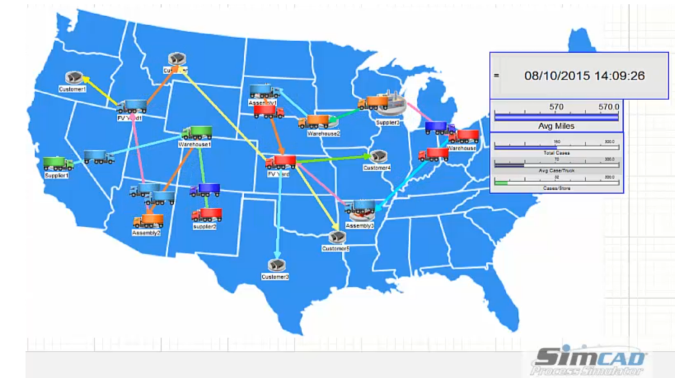 Using Simcad Pro, companies can optimize their delivery routes, distribution schedules, and transportation cost, ensuring product freshness while eliminating unnecessary waste. 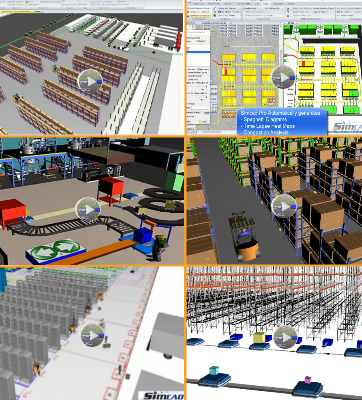 With Simcad Pro's ability to dynamically interact with external data, companies have successfully implemented simulation to analyze the location of warehouses and distribution centers with respect to demand. Product allocation is no longer a guessing game, but a simulated science that simplifies one of the most complex problems in this industry.